Countries are spending increasing sums of money helping people adapt to the impacts of climate change. Ensuring that these funds build more climate resilient societies is vital if we want people and communities to thrive under a changing climate. However, at this moment, we cannot answer some of the most basic questions such as: How much funding is available for climate adaptation? How is this funding channeled to local communities? Is this funding reaching the most vulnerable people in a country? This is alarming because it means that we cannot hold providers and implementers accountable for their programming and use of funds for climate adaptation. If we want people to adapt to climate change, we need to enhance the transparency and accountability of climate adaptation funding. Not only will this ensure that funding reaches those who are most vulnerable to the impacts of climate change, but it will also build trust among providers and recipients of climate adaptation finance and strengthen the global climate finance regime. Civil society organizations (CSOs) in countries receiving adaptation funding need support and advice in order to monitor and advocate for accountable use of adaptation finance. This report* looks at emerging evidence of civil society engagement and identifies steps that providers of finance, governments, and CSOs themselves can undertake to close the adaptation accountability gap. *download from right-hand column or read online via links below. Finance commitments are not the end of the story. The UNFCCC negotiations are likely to lead to more funding for adaptation in developing countries, but that alone is not enough. The flow of these funds must be transparent and accountable to ensure that those who are most vulnerable receive the support that they need. 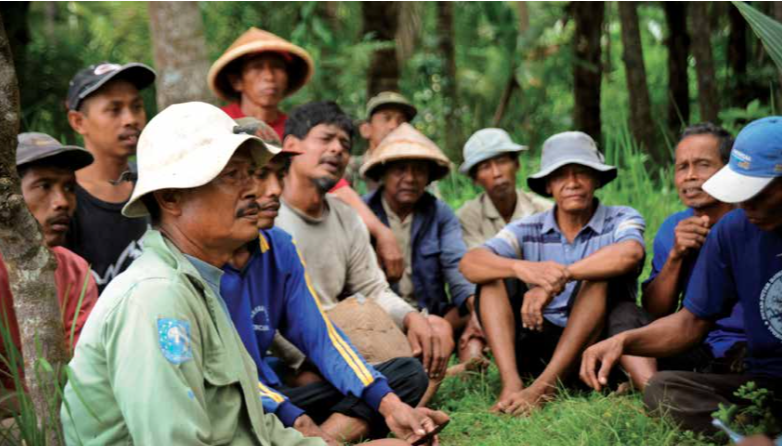 Adaptation finance is convoluted, but civil society is well placed to disentangle it. Funding for adaptation passes through numerous mechanisms and channels as it moves from the international and national level to the local level. These pathways can be highly complex and very difficult to sort out. Despite these challenges, AFAI has enabled partners in developing countries to track flows of adaptation finance and identify places where information is missing. Information is only meaningful when governments are held accountable. Simply uncovering and publishing information will not necessarily lead to change and improvement. Change, when initiated by CSOs, needs an enabling environment that allows for a continuous cycle of improvement, built on trust and cooperation among different partners. The report lays out an agenda for creating such an enabling environment and thereby building a more accountable adaptation finance regime. AFAI has achieved on-the-ground results in its four pilot countries, empowering partner CSOs to track adaptation finance and hold their governments accountable. In the Philippines, for instance, a partner uncovered corrupt use of adaptation finance and successfully lobbied the government to create an oversight committee. Achievements such as this one are not an anomaly. CSOs, government, and finance providers can work together to replicate these successes across the globe. Build national-level partnerships with other non-governmental organizations across different sectors and expertise (such as budget tracking, adaptation and development), and with government at national and local level. The AFAI is a collaborative research and advocacy project that seeks to improve accountability for adaptation finance. For this report (and numerous previous reports) the Overseas Development Institute (ODI), Oxfam, and World Resources Institute (WRI) worked together with Clean Energy Nepal, the Institute for Climate and Sustainable Cities (Philippines), Climate Action Network Uganda, and the Zambia Climate Change Network.